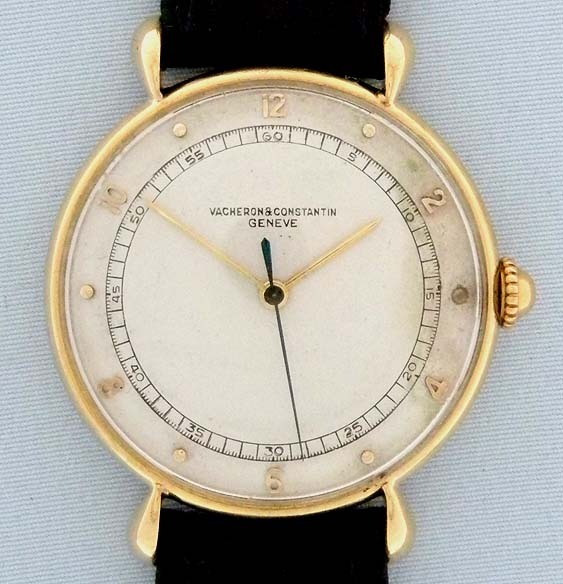 Good Swiss Vacheron and Constantin 18K gold center seconds vintage wrist watch with downward sloping teardrop lugs circa 1940. 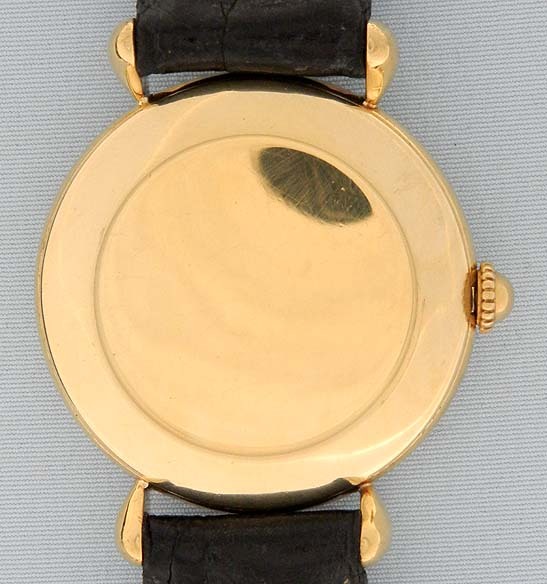 Older refinished silver dial with black chapter, applied gold markers, and light patina. 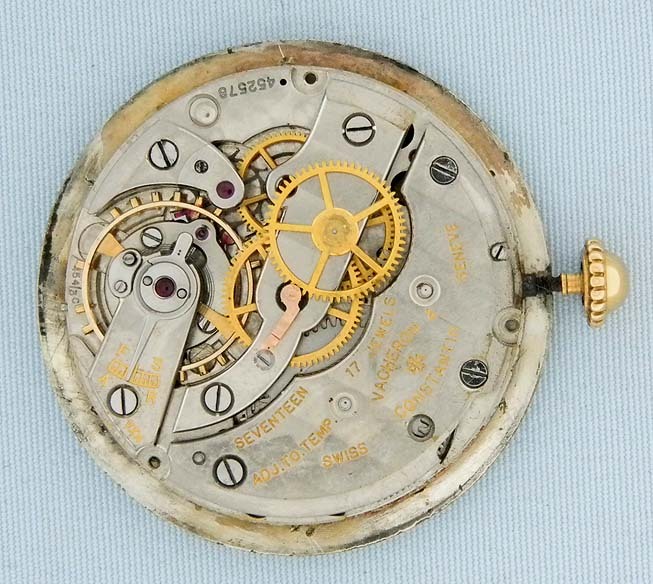 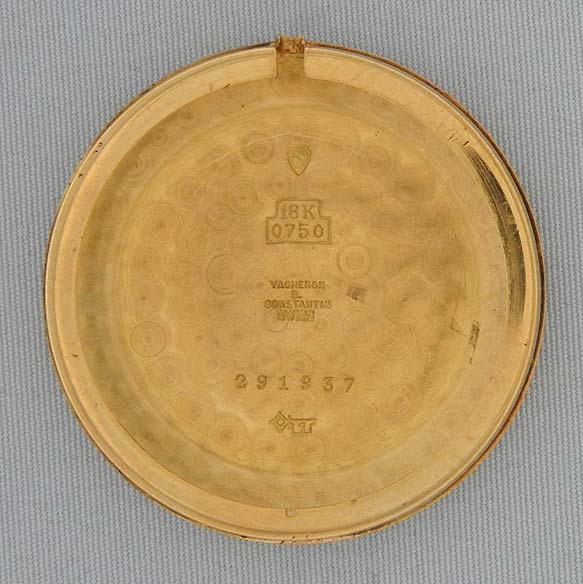 Nickel 17 jewel caliber 454/3G movement.